We are ideally located at 19 The Quay in the heart of New Ross, overlooking the River Barrow and just a short stroll around the corner from the main shopping street. New Ross is a town stepped in local history and some of the most popular tourist attractions are just a stones throw away from our property. The Dunbrody Famine ship, Ross Tapestry and the JFK memorial statue to name just a few are all situated along the newly refurbished boardwalk. 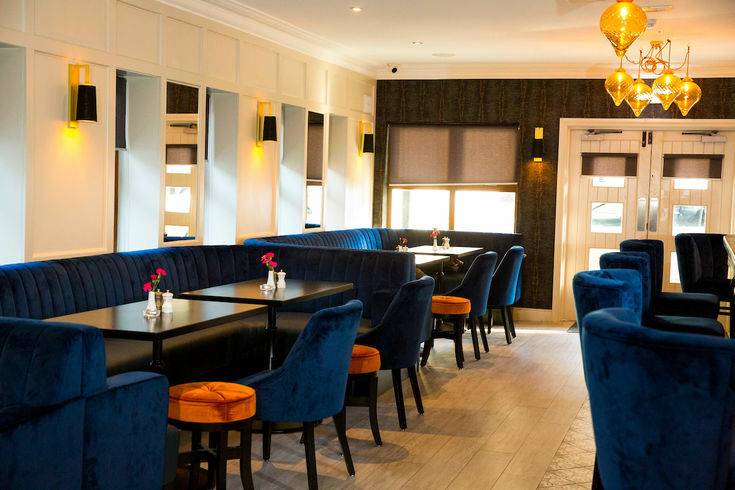 We are the only Boutique Hotel in New Ross so you can expect a warm welcome upon arrival and to instantly relax once you enter the elegant surroundings of the Hotel. 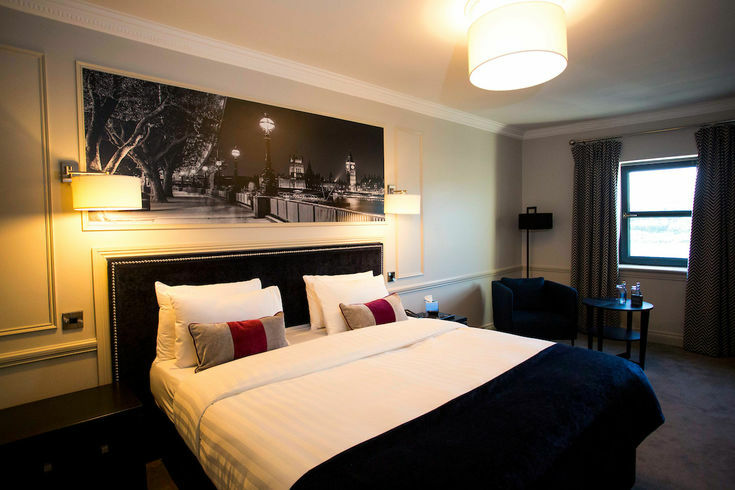 The hotel was newly opened in 2018 with the modern rooms and decor of the building being kept to the highest standards. Boasting a dainty little coffee shop overlooking the waterfront, a very modern and chilled bar to the back of the property and a beautifully decorated hardwood steakhouse upstairs. We have all your dining options covered from a quick cup of tea and sandwich to a very intimate meal with cocktails after. 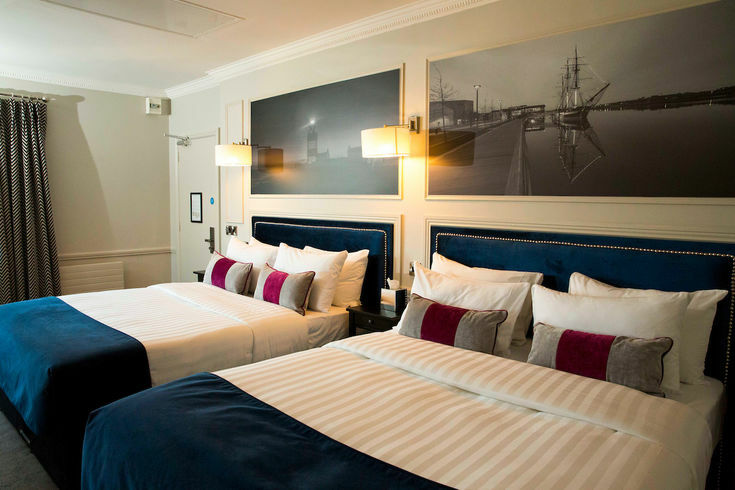 Each guest room at has been designed to deliver all the luxury, comfort and convenience our guests expect from a Boutique Hotel. Our beds, linens and towels have all been chosen to offer the highest standards for our guests, as this is what they have come to expect. Wine down and relax with a drink in the evening in the relaxing Lady Lane Lounge. Enjoy a romantic meal overlooking the majestic boardwalk of New Ross in the beautifully decorated hardwood dining room of Yanks Steakhouse. New Ross is stepped in History and the Hotel is walking distance from a number of attractions including the Dunbrody Famine Ship and the New Ross Tapestry. Centrally Located on the Quay in New Ross with the back entrance of the hotel leading onto the main shopping street. How far are you from Dublin? We are a two hours drive from both Dublin and Cork City. Is there any dining options? Yes there is a cafe, bar food and a beautiful steak house available to guests. Yes breakfast is served every day and payable in the dining room. Booking directly with us is always preferable than going through a third party website, we have the best prices and special little touches that can't be found anywhere else! We are centrally located and have the best that the Sunny South East has to offer, only half and hour from Wexford town and Waterford, one hour from Kilkenny and Carlow and two hours from Dublin and Cork. Copyright © Kennedy Boutique Hotel. All rights reserved.